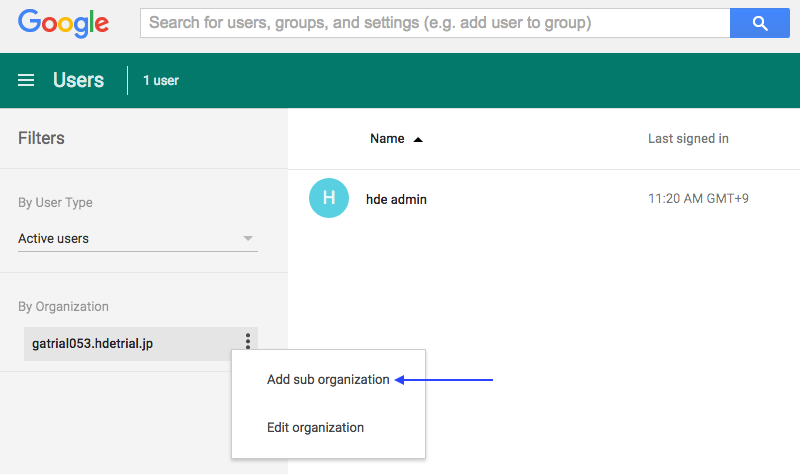 How do I set up G Suite in order to allow only specific member/group to use HENNGE Email DLP? 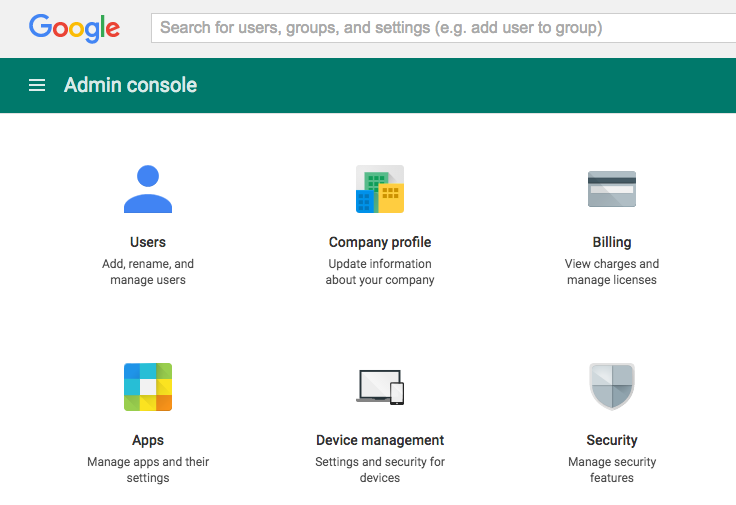 Step 1 - In the "Google Admin Console", go to "Users" interface. Step 3 - Input the desired name for the organization. 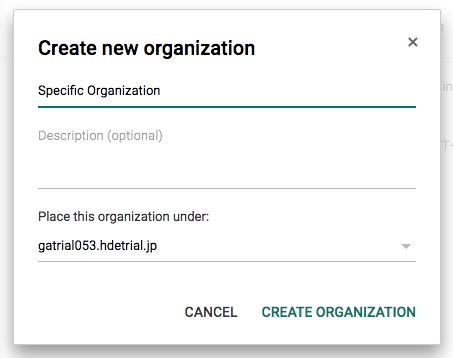 Click "CREATE ORGANIZATION" to complete to creation. Step 5 - Select the Organization that you have just created. Step 6 - Click "CONFIRM". 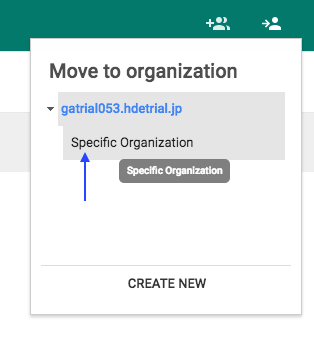 Step 7 - After the Organization is successfully created, go back to the "Apps" interface, click on "G Suite". 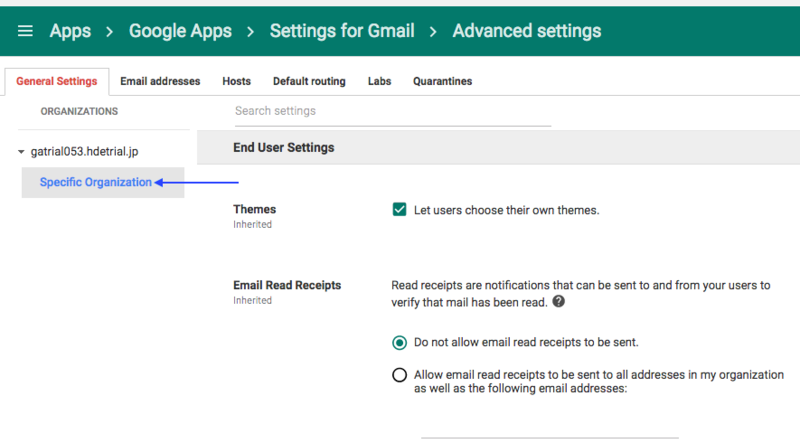 Step 8 - In the G Suite interface, click on "Gmail". Step 9 - In the "Settings for Gmail", click on "Advanced settings". Step 10 - In the "General Settings" tab, in the "ORGANIZATIONS" sidebar, click on "Specific Organization". 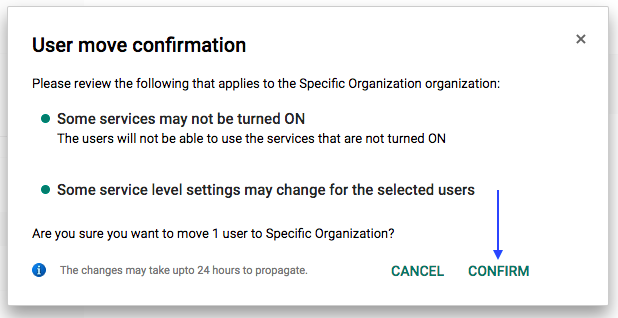 Note: Please only make changes to the "Specific Organization" settings for the rest of the setup.